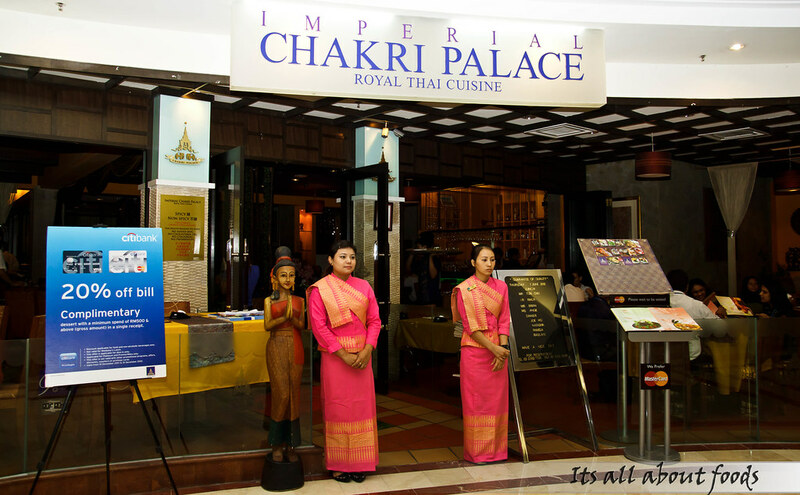 Imperial Chakri Palace, a Thai restaurant in KLCC, has been serving the best experience of aunthentic fine Thai cusines to diners since 1999. 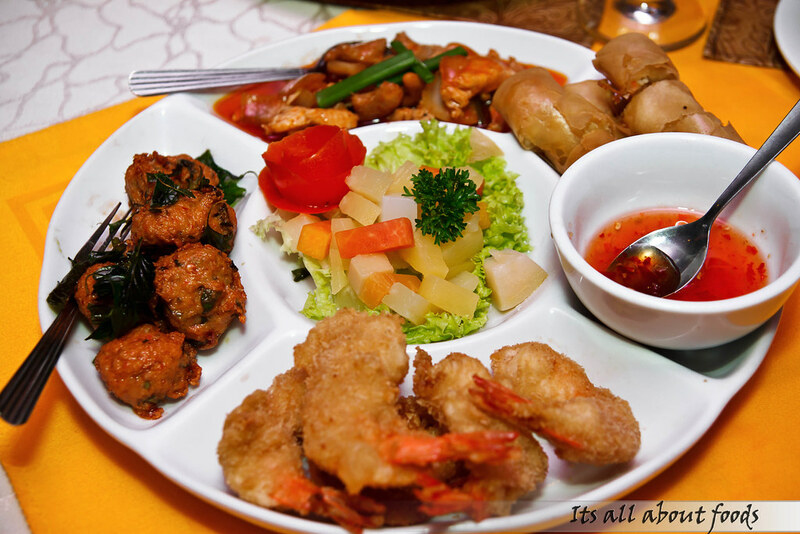 All food are prepared by highly skilled chefs from Thai, and the restaurant persists in serving food without MSG, no colouring, no preservative, and with low cholesterol oil. They have a sister outlet, named Chakri Xpress which caters to customers who prefer on quicker meal without compromising quality. Due to their emphasis on high quality food, Chakri has built a good reputation among diners. 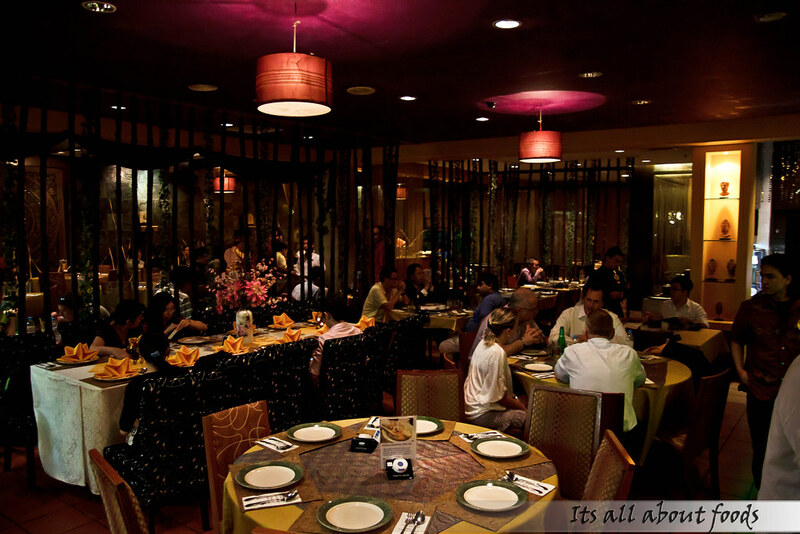 I visited Chakri once, and I am back for the second time, to savour more on their delicious Thai delicacies. Mieng Kam, one a traditional appetizer in Thai. 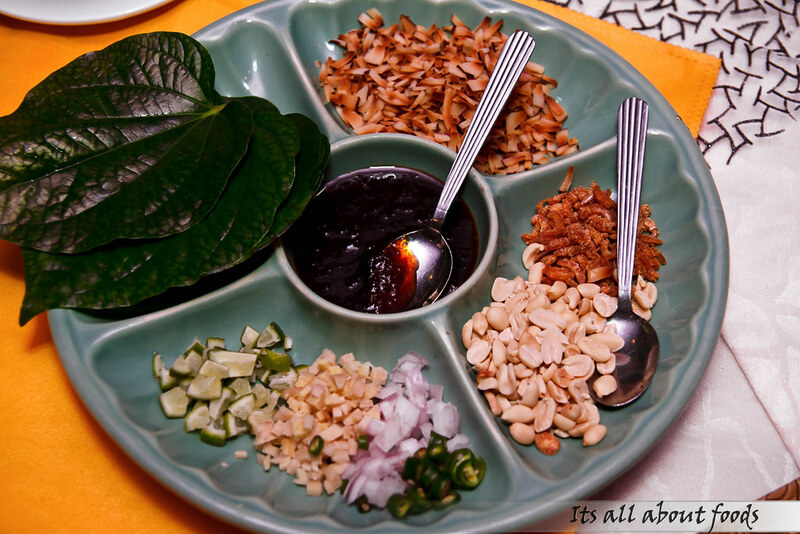 It contains seven types of ingredients which are peanut, baked shredded coconut, chili padi, diced onions, diced lime, diced ginger, sun dried shrimp, shrimp paste sauce and “kaduk” leaves. 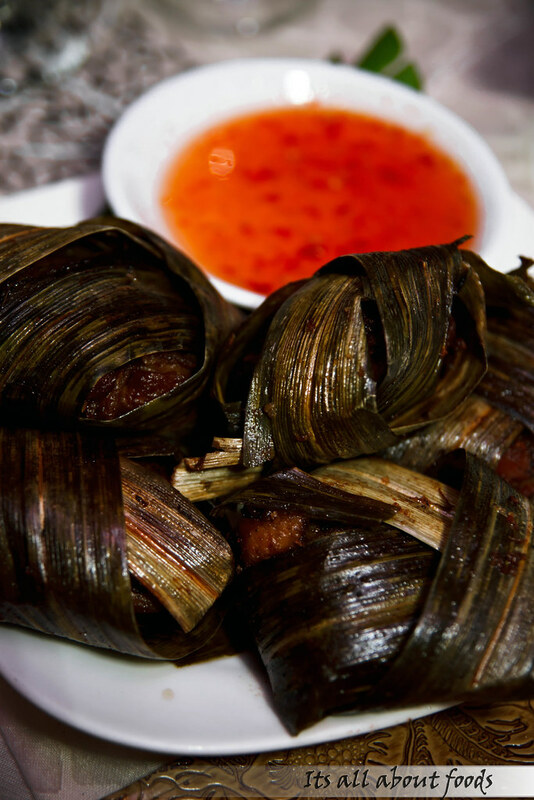 To eat it, you have all ingredients put inside the “Kaduk” leaves and wrap them up, pop into your mouth and experience the healthy leafy package that is brimming with textures. Other than Mieng Kam, Yam Soam Roam is another appetizer which is a must order from the menu. This appetizer consists of shredded mango, papaya, cashew nuts, bean sprouts, tomato and chilli paddy being tossed together, giving a tangy flavor with a hint of sweetness and spiciness. Chakri Four Seasons has Muzed Fruit Salad surrounding by Thai Fish Cakes, Spring Rolls, Sweet & Spicy Chicken, and Crispy Prawns. The platter is quite huge, definitely an ideal appetizer for sharing if you doesn’t want to overstuff yourself before the mains. Every item tastes so decent, especially the spring rolls. 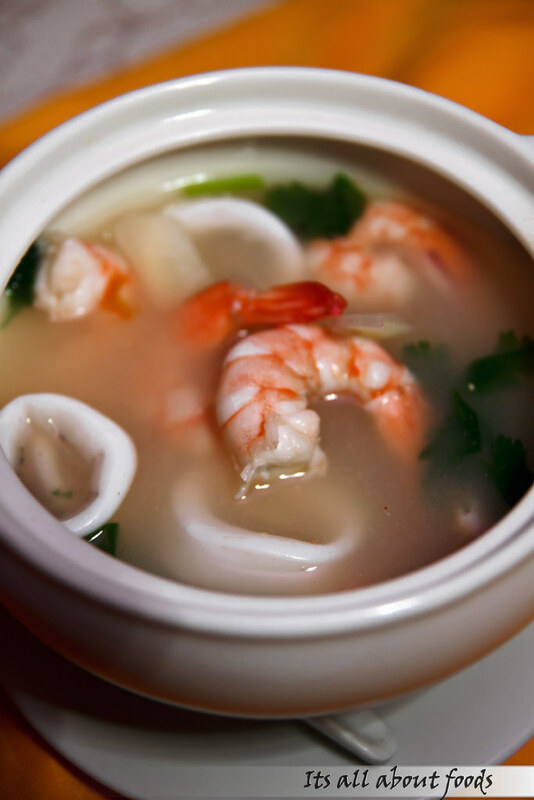 Served in clear tom yam soup base, the Chakri Tom Yam Gung Mar Num is not short with flavors at all. It has a distinct spiciness and sourness that will definitely open up your appetite, and coupling with generous amount of king prawn, squid, and mushroom that will make you savor till the last drop. Carefully marinated in Thai spices and wrapped in Pandan leaves, the chicken turns out so tender and flavorful, bringing out the fragrance of pandan leaves. You may dip into the Thai chili sauce for more flavorsome taste, but I prefer to have the original way because it is already lip-smacking enough. Coming next is the stir fried broccoli with black mushroom, which serves as the vegetable dish in the feast to balance up the nutrients. 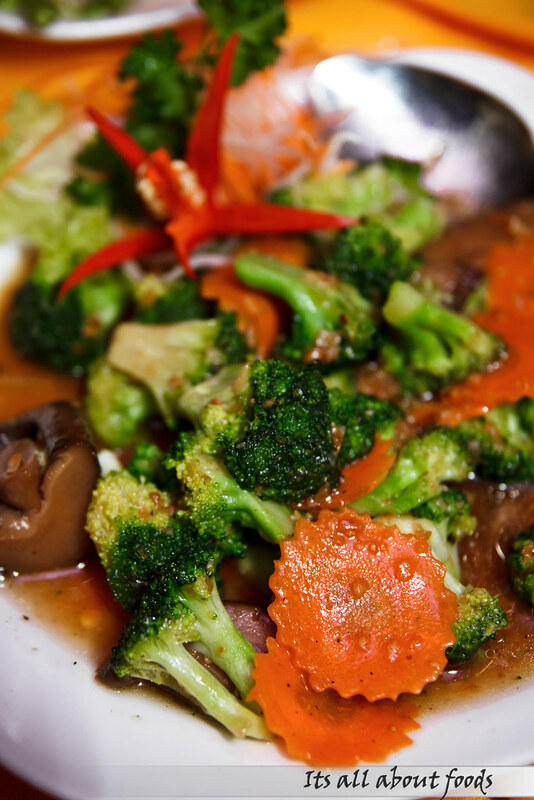 Though it looks simple, the stir fried fresh broccoli, juicy tomato and sliced carrot with brown gravy doesn’t taste pale when comparing to other dishes. 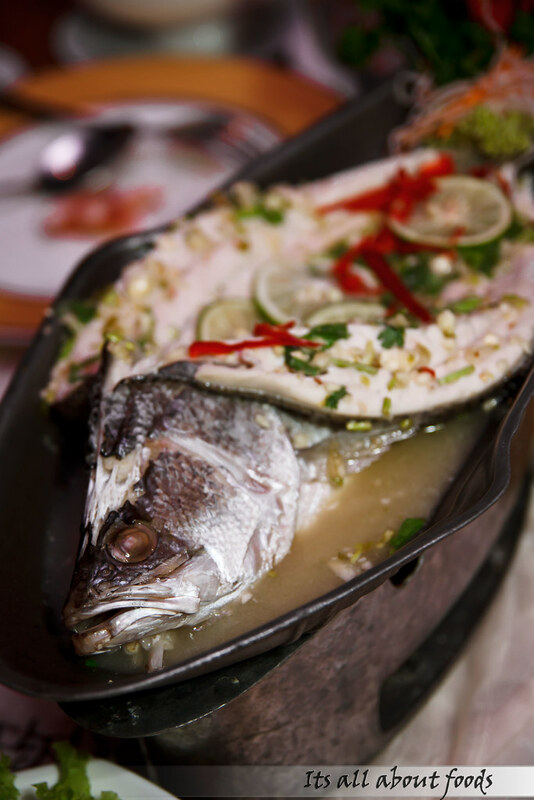 Having a fish with fishy smell is what I always worry for in a steamed fish. Chakri does very well here where their Pla Neung Ma Now has no fishy taste at all. It is very fresh, soft and fleshy. 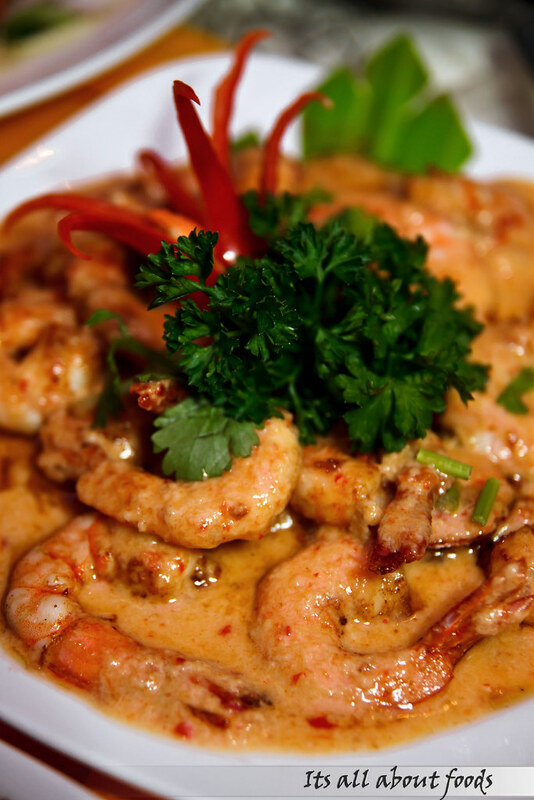 The sauce prepared from lime, garlic sauce and chilli is especially zingy and spicy, very appetizing. 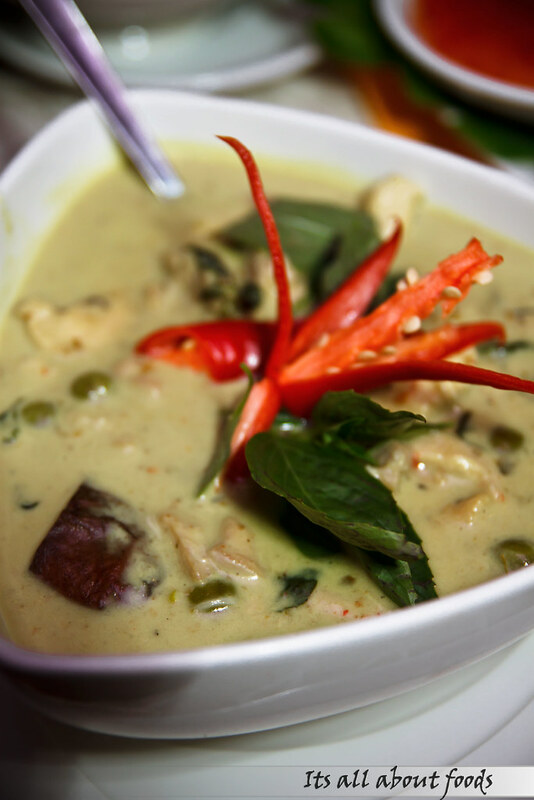 Thai Green Curry is prepared using spices, coconut milk and chicken. Taste creamy, thick and not too spicy, the gravy is really delicious to go with rice. Choices of chicken, beef or prawn is available for this dish. Other than the well done fish, Chakri’s Gung Phad Choo Chee get my vote too. It is actually stir fried shrimp with peanut sauce, garlic and pepper. 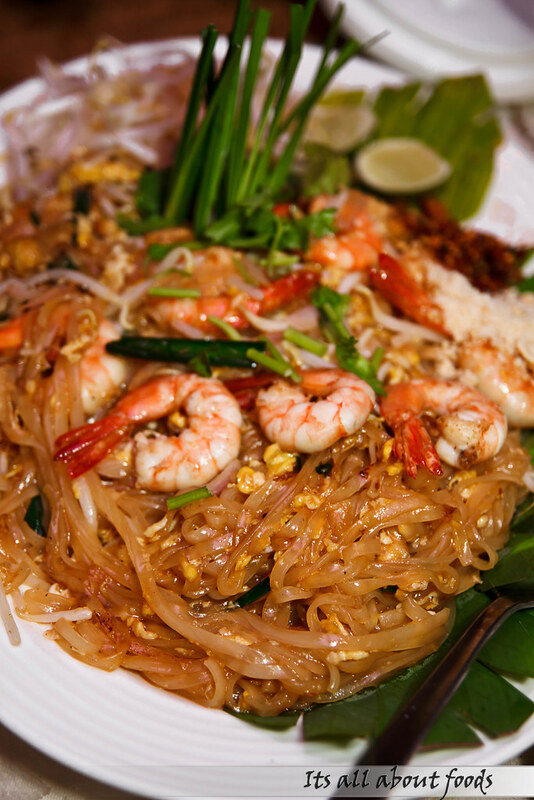 Phad Thai Gung Sod is a Thai dish which is always mentioned by the locals as Char Kuey Teow. The noodles are thinner and more springy comparing to our local kuey teow, and is imported from Thailand. Stir fried with succulent prawns, bean sprout, egg, chili powder and crushed peanuts, the Phad Thai Gung Sod has sweet and spicy concoction that will make you ask for more. Kneel for the glossy looking noodles, so tempting. 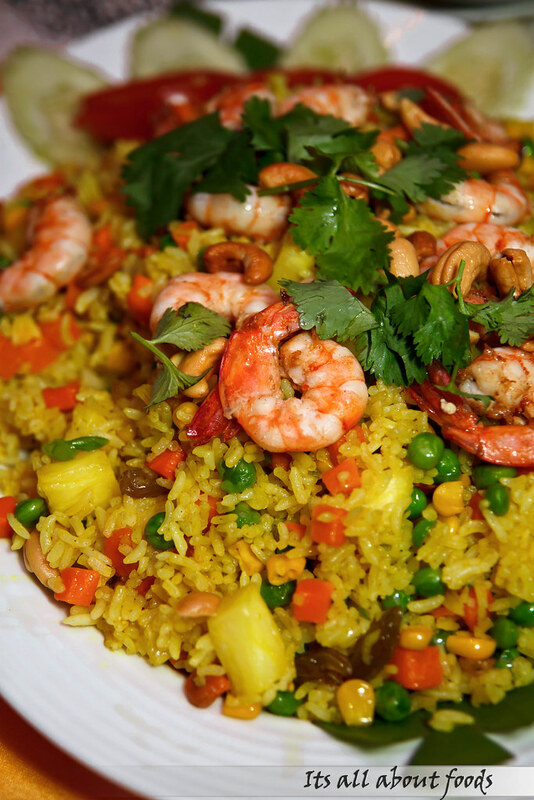 The fried rice is indeed very flavorful and colourful, with variety of ingredients being cooked together with the rice such as prawns, cashew nuts, raisins, corns, carrots, beans and not to forget, the pineapple. One shouldn’t leave a Thai restaurant without tasting Ai Tim Tab Tum Krob, the famous Thai dessert. 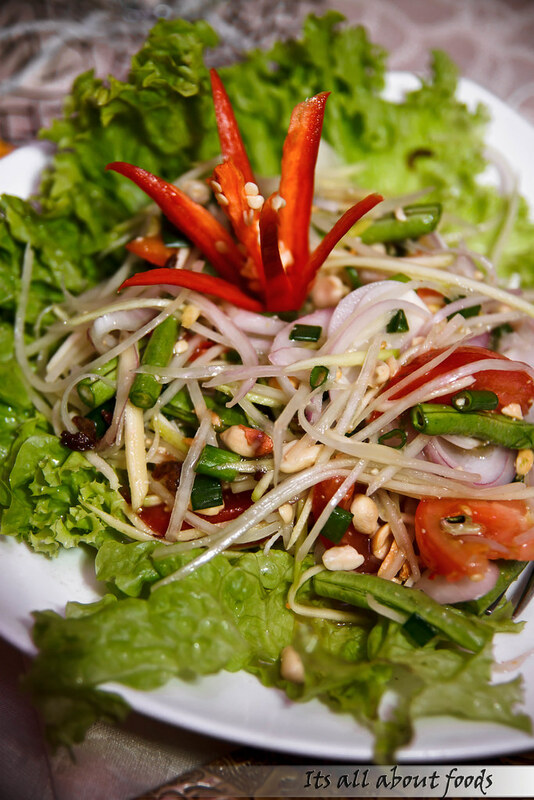 Chakri serves one of the best Tab Tum Krob in town, not only in taste, but also the presentation. 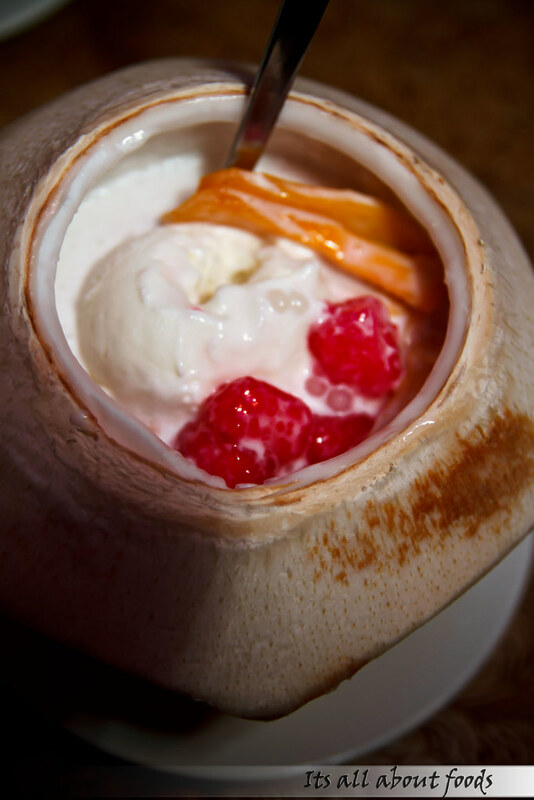 The dessert is served in a fresh coconut shell, where red ruby water chestnut, sago, jackfruit, vanilla ice cream and icy coconut milk are all nestled beautifully inside. It tastes very thick, coconut, chilling and with good textures from the red pinkish water chestnut.